Coe, Michael D. The Maya. Ancient peoples and places series 6th, fully revised and expanded. London and New York: Thames & Hudson（英语：Thames & Hudson）. 1999. ISBN 0-500-28066-5. OCLC 59432778. Milbrath, Susan. Star Gods of the Maya: Astronomy in Art, Folklore, and Calendars. The Linda Schele series in Maya and pre-Columbian studies. Austin: University of Texas Press（英语：University of Texas Press）. 1999. ISBN 0-292-75225-3. OCLC 40848420. Willard, T.A. 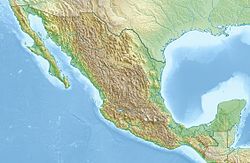 Kukulcan, the Bearded Conqueror : New Mayan Discoveries. Hollywood, CA: Murray and Gee. 1941. OCLC 3491500.